I love all of the LOVE of Valentine’s Day! It’s the perfect excuse to be kind, LOVE others and fill your day with hearts! If you also LOVE everything Valentine’s Day then you will LOVE this post. This post is a collection of my favorite Valentine’s Day posts over the last few years. I love making creative Valentine’s Day cards with my daughter. It is a fun way for us to get crafty together and make something sweet for others. I appreciate any chance I get to teach her to give unto others. Last year we made Bracelet Valentines and this year we went with a bubble theme. All things girly over here, of course. 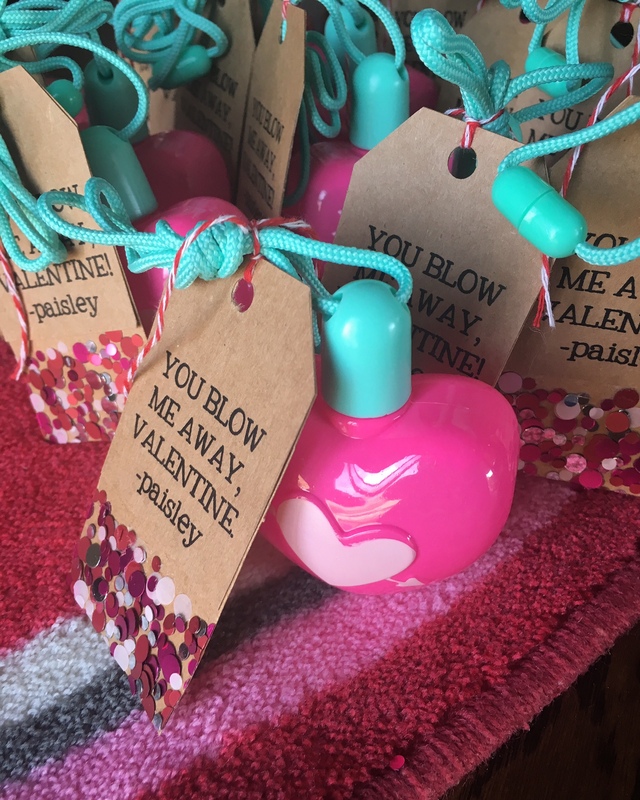 Here is how we made our cute valentines, I hope you enjoy this bubbling-fun Valentine’s Day tutorial! 🌹Roses are red… and make a beautiful blooming bouquet! Today I am sharing an easy tutorial on a unique blooming bouquet, just in time for Valentine’s Day. With the help of three products you can take your Valentine’s breath away with this beautiful floral centerpiece. To me a gift is so much more than a present. Every gift tells a story, from the wrapping paper to the meaning behind the gift. Do you ever wish you could mail the PERFECT gift to a friend that would brighten their day, make their birthday extra special or just send some extra love??!! Well I have the perfect company for you! Let me introduce you to Thoughtfully. 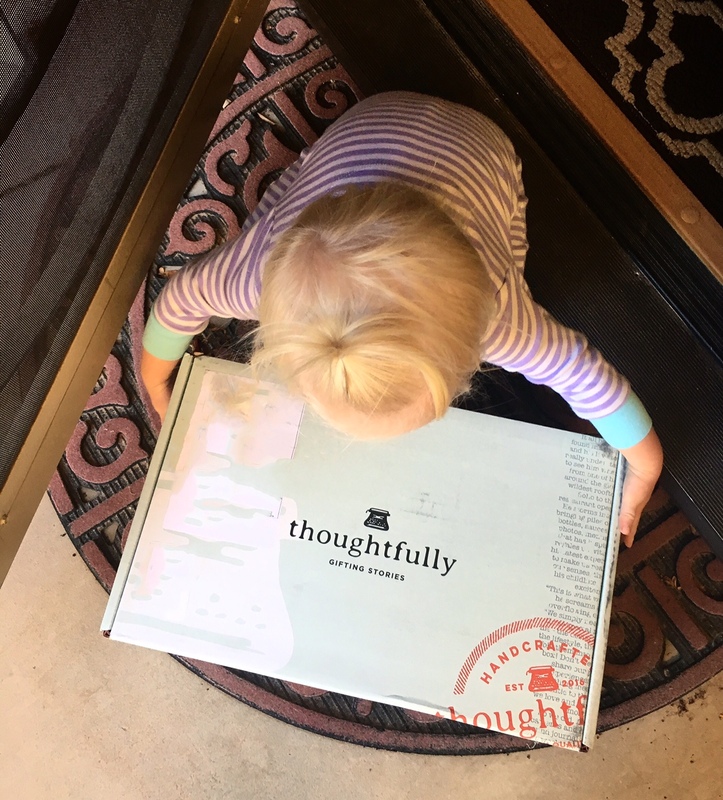 Thoughtfully is a gifting company that is creating a new gifting experience much more exciting than the traditional gift basket. Thoughtfully believes that a gift should last long after the beautiful wrappings have been torn away. Thoughtfully creates unique gifts that tell a story – a curated adventure perfect for each special individual in your life. I love giving gifts!!! But lets face it, this time of the year can get pretty pricy if you have to buy a gift for everyone you care about. That is why I am all about DIY presents. If you can buy in bulk and make multiple gifts at once, gifting doesn’t have to be exhausting or expensive. Remember, it’s not the cost of the item that makes it special, it is the thought and care behind the gift that really matters. I don’t know about you, but thinking of a new and unique creative way to make a gift for a loved one for Christmas is exhausting! I love getting crafty, and putting my DIY-thinking cap on, but sometimes life gets in the way and we are too busy when it comes time to executing our amazing and complex ideas. If this hasn’t happened to you, that is amazing, but true confession… it definitely has happened to me! This time of year can be very overwhelming thanks to Pinterest. 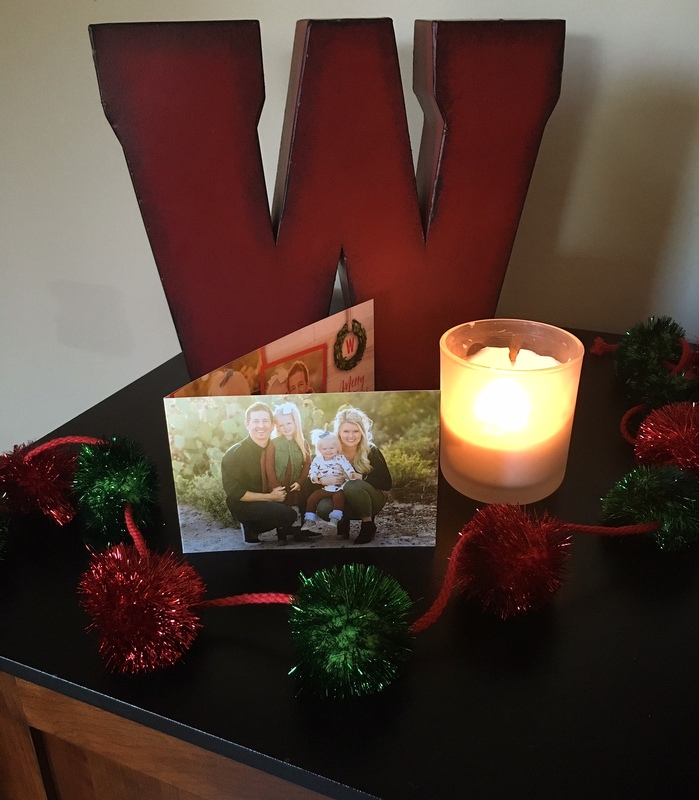 To help you out this year, I made an easy-to-do, very inexpensive and simple photo craft for all of the grandparents in our lives. Trust me, very little creative skills are needed for this one! I hope this adorable and easy-to-make tutorial brings you peace in this crazy-busy time and allows you to impress your loved ones. Are you ready to get crafty??? Can you believe that Thanksgiving is only two weeks away… Which means Christmas is right around the corner??!! Where has 2016 gone?! Since December is almost here, you know what that means… Time to order Christmas Cards! Every year I order our family Christmas Cards through Shutterfly because they have the biggest selection and I am always happy with their backgrounds, colors and options. Their website is so user-friendly and within a few minutes you can have a picture perfect card. If you’re not familiar with Shutterfly let me explain. Shutterfly is an online photo and personalization company that I have been using for over 12 years. Let’s just say I’m a big fan of Shutterfly! Every November, with the click of a button, I upload my family photos into their website and create a unique and special Christmas Card to send out to my family and friends. Shutterfly does an amazing job of coming out with new designs, creative photo layouts, well-thoughtout holiday taglines and colorful touches that make our holiday cards so beautiful; and this years selection does not disappoint! 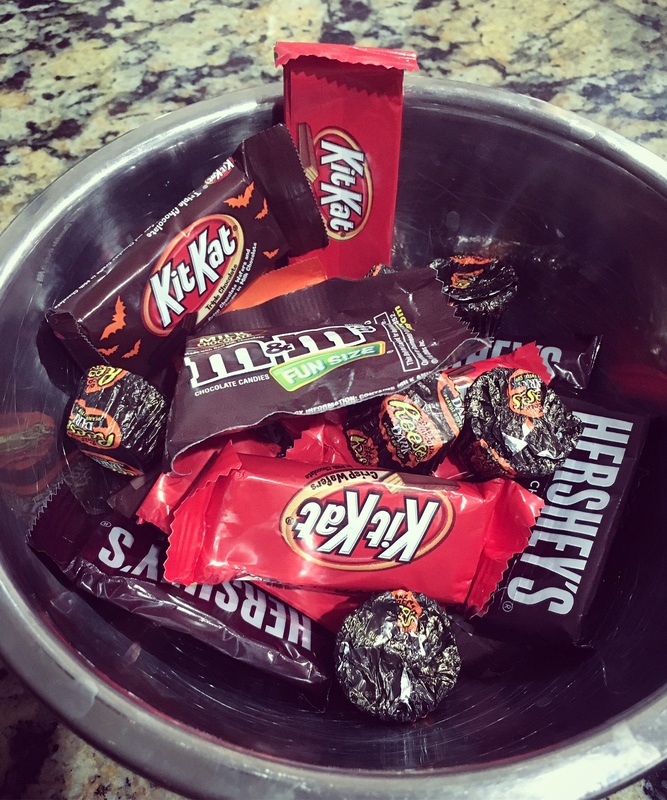 What do you do with all of your leftover Halloween candy… ??? …Make candy-bars, candy-cookies or candy-pies… OF COURSE! 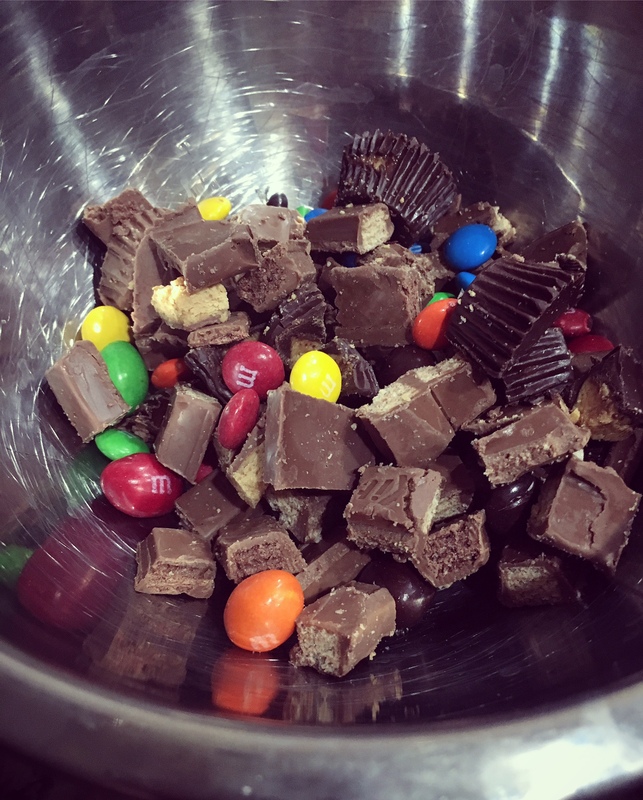 All you need is 1-2 cups of a mixture of your favorite leftover chocolate Halloween candies. This is a smart way of using up the leftover candy in a delicious sweet recipe, so that your candy doesn’t sit in front of you in a bowl begging to be eaten in one sitting! I am so honored to have the fabulous Keala from Recipe For A Sweet Life guest blogging today on Espresso Ever After. She has an absolutely adorable and tasty Halloween treat to share. Without further adue… take it away Keala!